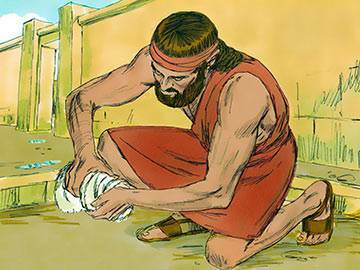 For another story about Gideon, see this lesson in audio-visual format. 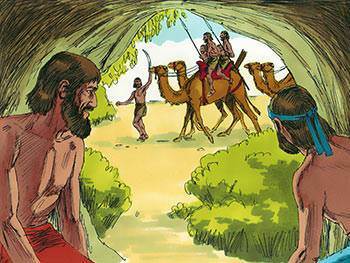 At the time Gideon appears on the pages of Scripture, the nation of Israel was being invaded year after year by hordes of nomadic Midianites who deprived them of both crops and livestock. This greatly discouraged the Israelites and caused them to cry out to the Lord for help (v. 6). 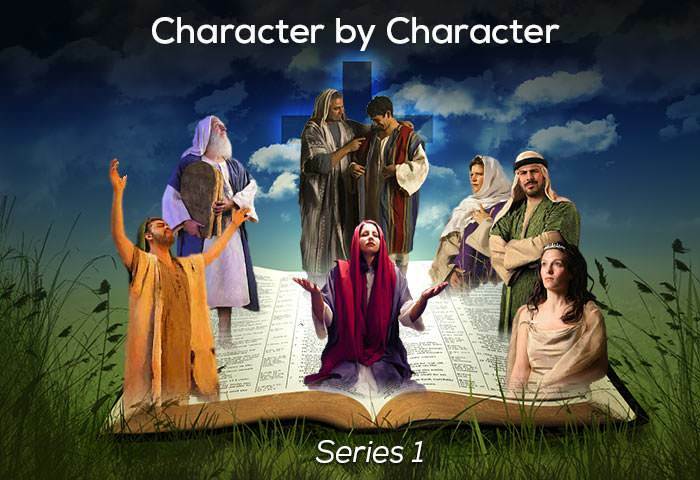 God, in answer to their plea, spoke to them through a prophet who challenged them to recognise their disobedience, then sent an angel to commission Gideon to be Israel’s deliverer. When the angel met Gideon, he found him secretly threshing wheat in a wine-press—to hide it from the marauding Midianites—and greeted him with the words: “The Lord is with you, you mighty man of valour” (v. 12, RSV). Despite Gideon’s blunt query as to whether God could really be with Israel when they were so overwhelmed by their enemies, God’s call still sounded out. How reassuring it is to know that when our response to God’s call is one of uncertainty and disbelief, He never allows our innate pessimism and gloom to divert Him from His purposes. The Almighty seems to believe in us more than we believe in ourselves. 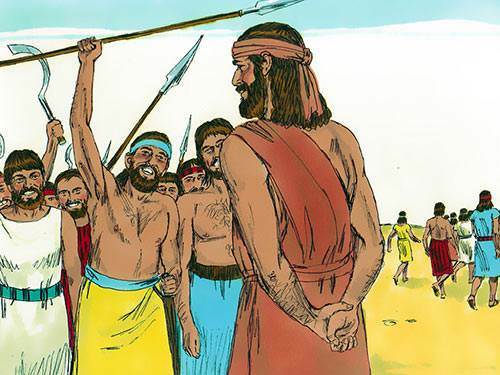 As a result of God’s call, Gideon mobilises some of the local tribes to confront the marauding Midianites, but despite this clear call, a strong doubt emerges. He ponders on the fact that he is an untried soldier, ignorant of the methods of warfare: “My clan is the weakest in Manasseh, and I am the least in my family” (6:15, NIV). Suddenly invested with the responsibility of leading Israel into battle, he therefore seeks a confirmatory sign from the Lord. His first request is that a fleece he spreads out overnight should be wet, while the ground around it stays dry. When this is granted, he asks for a more convincing sign—namely that the fleece should remain dry, while the ground around becomes wet. 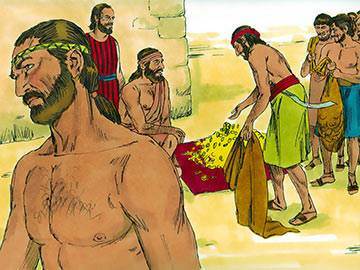 This, too, is granted, and never again does Gideon doubt his commission from the Lord. Many have criticised Gideon for the fact that, even though God had spoken to him and commissioned him to be Israel’s deliverer, he still sought a confirmatory sign. But how unlike men is God: the Almighty accommodates Gideon’s doubts and makes him not only assured, but doubly assured. Some Christians resort to the metaphorical use of a fleece to determine the will of God, basing this on the experience of Gideon. A close examination of the incident reveals, however, that the fleece was used not to determine the will of God, but to confirm it. Gideon succeeds in recruiting an army of 32,000 men, but God tells him that granting victory to so many could lead to the boast that they had overcome the enemy without His aid. 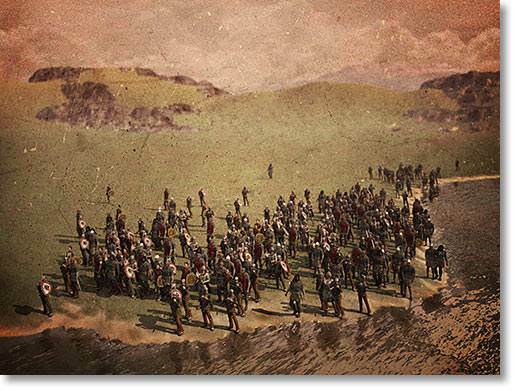 Sending home the faint-hearted left 10,000 brave men, but an alertness test—watching the way in which they drank from the river—resulted in the 10,000 being whittled down to just 300 men. 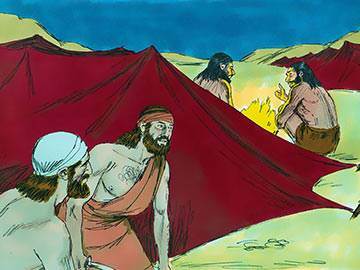 On a night visit to the enemy camp, Gideon overhears a conversation anticipating defeat (v. 14), and returns to inspire his men and organise a surprise attack. He equips his army, not with swords or staves, but with the strangest military equipment an army has ever known—trumpets, earthenware jars and, inside the jars, a lighted torch. If you had been a member of Gideon’s 32,000, would you have made it into the final 300? You might have passed the test of fearfulness—being unafraid of a fight—but would you have passed the test of faithfulness? Faithfulness means always keeping one eye on the enemy. When darkness fell, Gideon divided his 300 men into three companies who were deployed silently around the enemy and gave them instructions that, at a given signal, they should copy his actions with military precision. 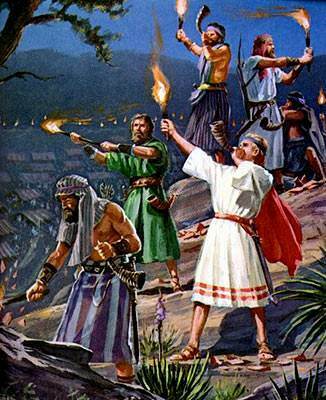 When the moment for action came, the 300 blew a blast on their trumpets and shattered their earthenware jars, thus causing the light to shine out, and shouted loudly: “A sword for the Lord and for Gideon!” (v. 20, NIV). These surprise tactics brought great consternation to the enemy, who fought amongst themselves and finally fled in disorder and disarray. 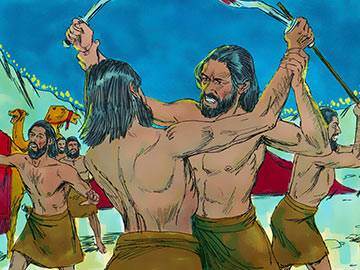 Gideon and his men stood and watched the Lord defeat the Midianites without having to strike a blow! It was obvious to all that the Lord’s strategy, although strange and unusual, was nevertheless the cause of their great victory. How our lives would be transformed if we could learn the lesson that God delights to be given the credit for our conquests and victories. Pride and egotism want to say, “I did it”, but humility and dependence delight in saying, “God did it”. Which of these two attitudes is uppermost in you? 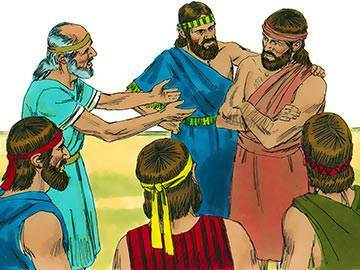 To bring about lasting peace, the Midianites must not only be scattered, but expelled from the land of Israel. 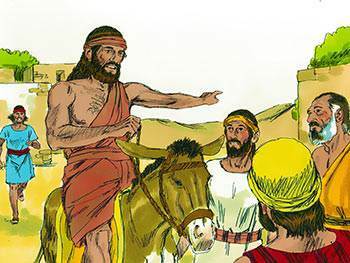 Gideon sends messengers to the Ephraimites to intercept the retreating Midianites at the river Jordan who, when they arrive, put to death two Midianite leaders. 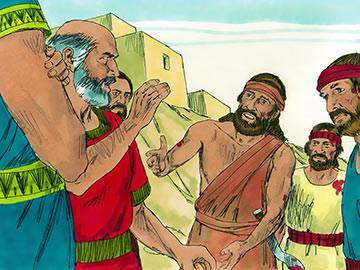 The Ephraimites express great anger toward Gideon for not having called in their assistance earlier, but Gideon appeases their anger by a shrewd speech. 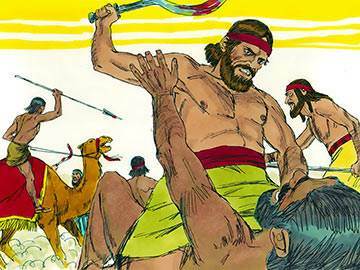 He points out that although he and his army had dispersed the Midianites, it was the Ephraimites who had put their two leaders to death. Later, he is faced with another problem when the local inhabitants refuse to supply his famished troops with food. But he surmounts this, too, and presses on to capture and personally execute the kings of Midian. 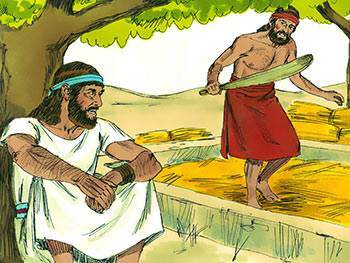 Gideon seemed to meet with more opposition from those who were supposed to be his friends than from those who were his enemies. Isn’t that reminiscent of the Christian Church? Nevertheless, we must not allow ourselves to be discouraged by those who are Israelites in name, but Midianites in heart. 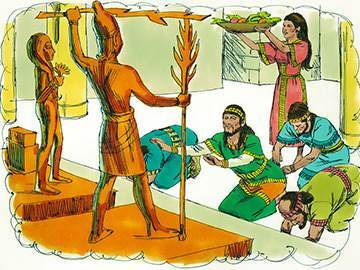 Upon his triumphal return, the Israelites proposed that because Gideon had delivered them from the Midianites, he should become their king and found a family dynasty (v. 22). He firmly rejects this offer, saying that the Lord alone must rule over Israel (v. 23). 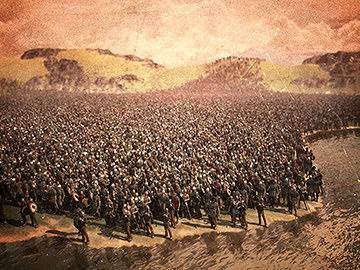 Three hundred men under the Lord’s leadership had routed 135,000 Midianites, and Gideon believed that God’s rule over the nation was superior to kingship. 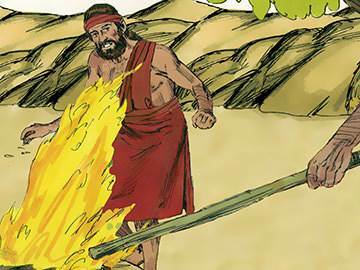 Instead, Gideon requested from his fellow Israelites some of the spoils of war in order that he might make an ephod, a priestly garment to which a breastplate was attached. This breastplate was associated with the casting of lots to obtain God’s guidance in ruling the nation (see Ex. 28:30). How sad it is when God’s people are so taken up with the way things happen that they fail to give credit to God’s hand which is at work bringing everything about. Pause for a moment and think of something ‘unusual’ that has happened to you recently. Done that? Now give God the praise. 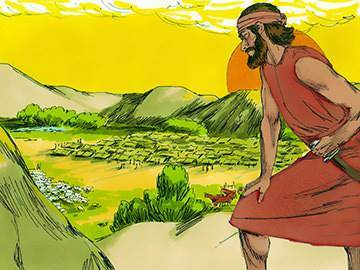 Gideon’s perseverance in exploiting the God-given victory in the valley of Jezreel ushered in forty years of peace for Israel. 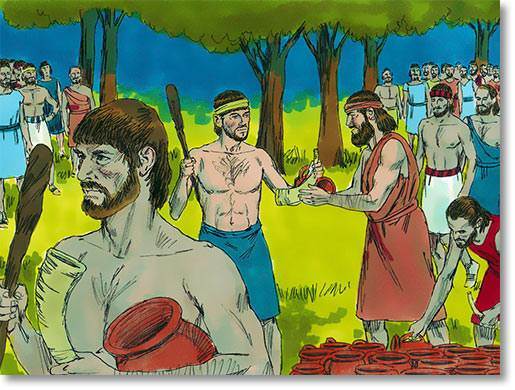 It is interesting to note that the Midianites, as enemies, are never mentioned again in Scripture. Gideon sets up a religious centre at his seat of judgment in Ophrah and, by use of his new ephod, seeks to implement his declared policy that the Lord, not himself, should rule over Israel. 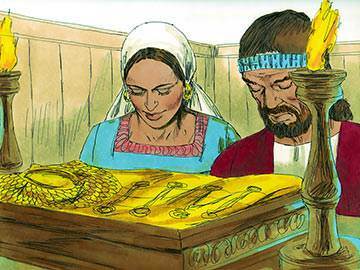 The ark of the covenant, however—the symbol of God’s presence in Israel—was at Bethel, and Gideon’s rival shrine becomes a snare to him and his fellow Israelites, causing them to fall into idolatry. 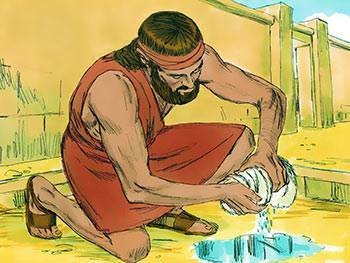 No sooner does Gideon die than the Israelites turn to worship a heathen deity, forgetting all that the Lord had done for them through Gideon (vv. 33-35). It has been said that although an idol is “nothing in the world” (1 Cor. 8:4), there is nothing in the world more real than an idol. Putting something else in God’s place, making a god of something other than God—is that not a very real transaction? Take care it doesn’t happen to you. Although the angel of the Lord hailed Gideon as a ‘mighty man of valour’, this description seems to stand out in sharp contrast with his initial statements and demands. Gideon appears at first as pessimistic, argumentative, demanding and unbelieving. But it was not unbelief that lay behind his moods—it was insecurity. In time God overcomes this deep insecurity in his nature, after which Gideon never again asks God for a sign. The main lesson we learn from his life is that once we face up to the challenges which God gives us, our weaknesses can become strengths. Gideon’s insecurity gave way to a sublime confidence in the sovereignty of God, and although his life ends on an extremely sad note, we should not overlook the fact that he had earlier learned how to simply and humbly accept God’s help—an attitude which transforms every insecure struggler into a ‘mighty man of valour’.